If you thought your waterproof smart watch was the epitome of wearable evolution, wait until you see some of the coolest wearable tech out there that you can get your hands on right now. People of the past imagined that by the twenty-first century, the common man would never have to worry about traffic with their flying cars. While that future is not nearby a long shot, we’ve come a long way from radio and telegrams to high-speed media streaming and massively powerful mobile devices. Perhaps one of the greatest achievements of the industry is downsizing gadgets and creating wearable tech. Making and receiving phone calls was just a skit from a Bond movie a decade ago, and now the latest and greatest waterproof smart watch out there lets you do it right out of the box. With the big names such as Apple and Google embracing the inevitable evolution of wearable technology, there’s a lot going on right under the surface. Since you can’t possibly be bothered to go around and look for the coolest wearable gadgets out there, we’re going to do it for you. Spanning from the realm of health and fitness to some seriously awesome wearable gadgets that are too good to miss, here’s a buying guide for the coolest wearable tech out there. With the Samsung Gear S3 hogging all of the limelight with its impressive features, this waterproof smart watch from Samsung often goes unnoticed. Samsung Gear Fit2 Pro is designed for fitness enthusiasts and athletes with a special focus on water-based fitness activities, paired with the S Health app for Android devices only. Packed with a curved 1.5-inch iconic AMOLED display with waterproofing up to 5ATM, this waterproof smart watch can take more than the occasional dip. Samsung has even partnered with Speedo ON swimming platform to give swimmers better insights on their fitness statistics related to lap time, lap count, stroke type and a whole lot more. 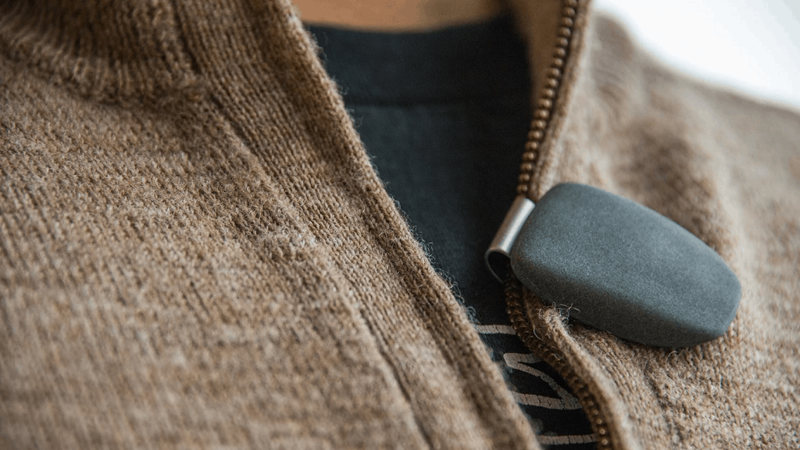 Wearable technology is all about making your life easier one bit easier at a time, and Tile Mate is a godsend if you have the memory of a goldfish. 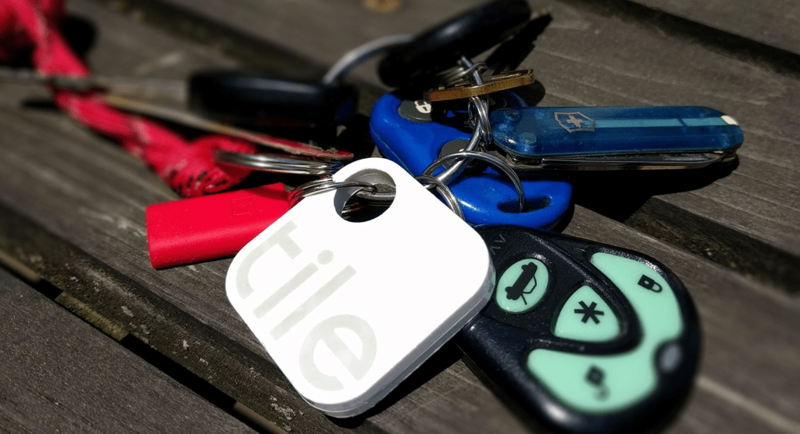 Designed to be sleek and discreet, Tile is the smallest Bluetooth-based wearable tracker that you can hook up to your keychain, stick to your valuables, or simply leave in your purse and track them 24/7. Paired with the Tile Mate ring app for your Android device, you can easily make the wearable tracker ring when it is in the vicinity. Doubling up as a phone tracker, you can also use your Tile Mate to make your phone ring every time you can’t seem to find it. With its very own lost and found network with more than 5 million devices, Tile Mate runs on a single charge for a year, after which it needs to be replaced. 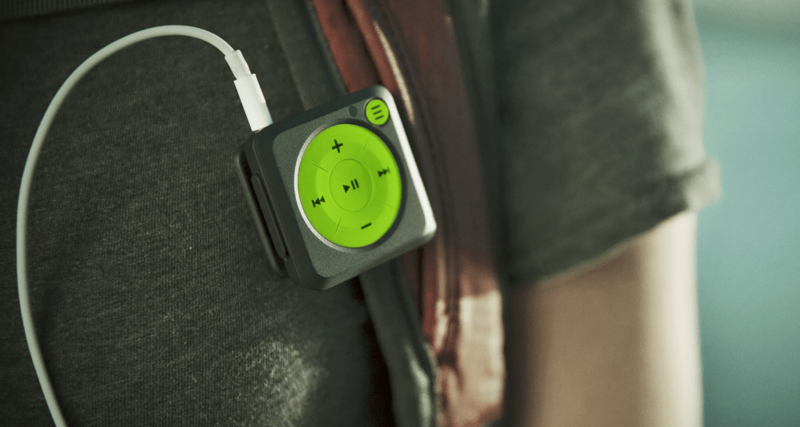 A nostalgic reminder of the good old days of the Apple iPod Shuffle, Mighty Audio is the first ever music player that plays your Spotify Music directly without any involvement of a smartphone. With the ability to pair via Bluetooth and unlike the latest round flagship Android, Mighty Audio still has a headphone jack, so you can always plug in a wired headset. Built to last with impact and water resistance, you can clip the measly 0.7oz Mighty Audio Spotify music player to almost anywhere. With a 5+ hour battery life and a capacity for more than 1000+ songs, you won’t need to carry around your smartphone on the run just to enjoy your Spotify music subscription. There is no end to the number of the heart rate monitor straps and fitness trackers, but how many athletic apparels do you own that come with fitness tech stitched into it? 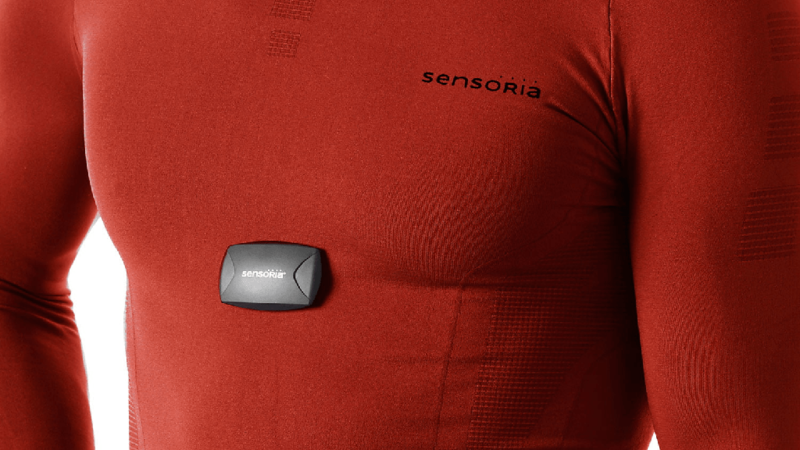 The Sensoria fitness smart t-shirt lets go of the uncomfortable and annoying heart monitoring strap by buckling one right into the fabric for the barely-there look. Apart from the t-shirt itself being designed for optimal comfort during fitness, the heart rate monitor can be paired easily with the Sensoria Fitness mobile app. The breathable material paired with smart tech allows you to monitor your activity record during different types of workouts and is easily compatible with HRM from Garmin and Polar. If you thought the Apple AirPods were cool, take a look at the ideal companion for your waterproof smart watch – the Samsung Gear IconX 2018 edition. 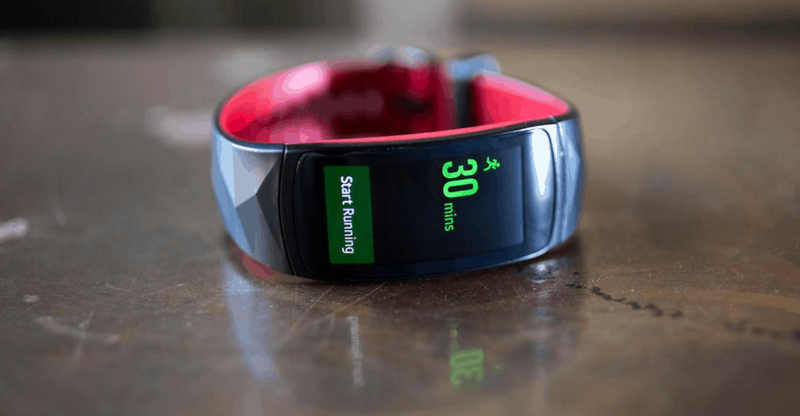 While the model from last year came with a heart-rate sensor built it, Samsung has ditched it this time around for a larger battery that lasts you for hours at a stretch. 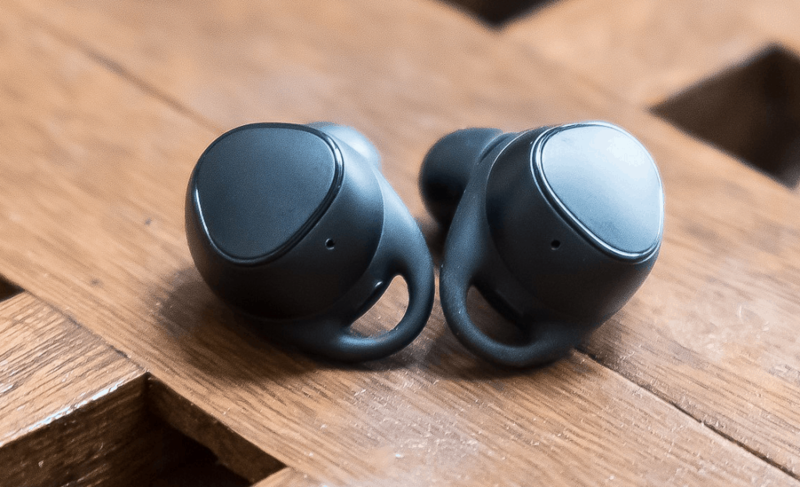 Apart from just being a pair of excellent wireless earbuds, the Gear IconX come with fitness tracking abilities with calorie counting, real-time voice guidance and other metrics built in. With a touch-responsive surface for interaction and Bixby/Google Assistant voice support built right into it, you even get multiple ear-tips for the perfect fit. 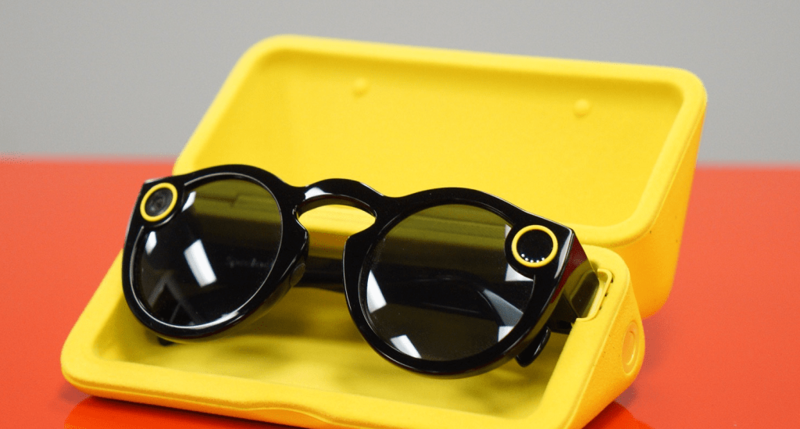 Wearable tech can be tiny but expensive, but the Spectacles from none other than the social media giant Snapchat is changing this narrative. Spectacles by Snapchat are built for creating short and sweet 10-second videos (or even longer) just for the Snapchat app, where all you need to do is press and play to begin recording any scenario from a POV (point of view) perspective. The smart wearable glasses might not be IP certified like you waterproof smart watch, but it’s designed for the outdoors with dual-cameras and LED-flash built right into the end pieces. The Bluetooth-enabled wearable automatically syncs all you’re your recorded videos to the Memories in the Snapchat app, while also giving you the ability to store your recorded videos directly to the gallery. It would be unfair to not include a single Android Wear smartwatch on the list, especially since LG G Sport is worth the honorable mention. Built like a tank, this waterproof smart watch comes with an IP68 rating, a powerful Snapdragon Wear 2100 processor and an industry-average battery life that would last you around 2 days at most. 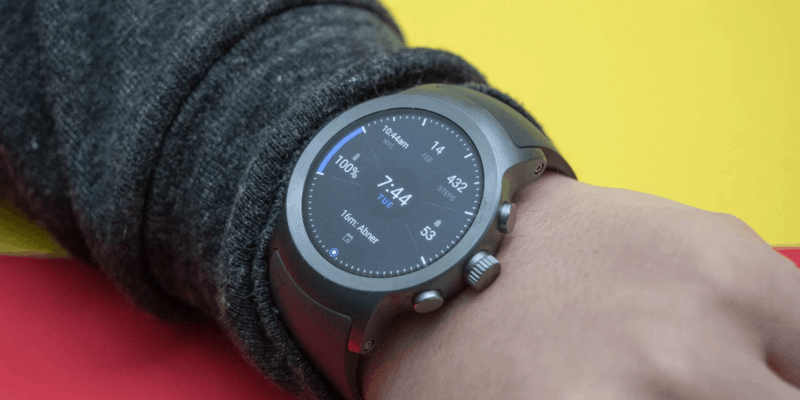 What puts the LG G Watch Sport in front of the competition is that fact that it is essentially a phone in itself, with SIM-card and complete communication compatibility. With the Android 8.0 Oreo update rolling out and the power of Google Fitness behind it, there’s very little an Android fan doesn’t get with this waterproof smart watch. The problem with most fitness trackers is that they either want to replace your wristwatch or clip on to your clothing like some techie bug. 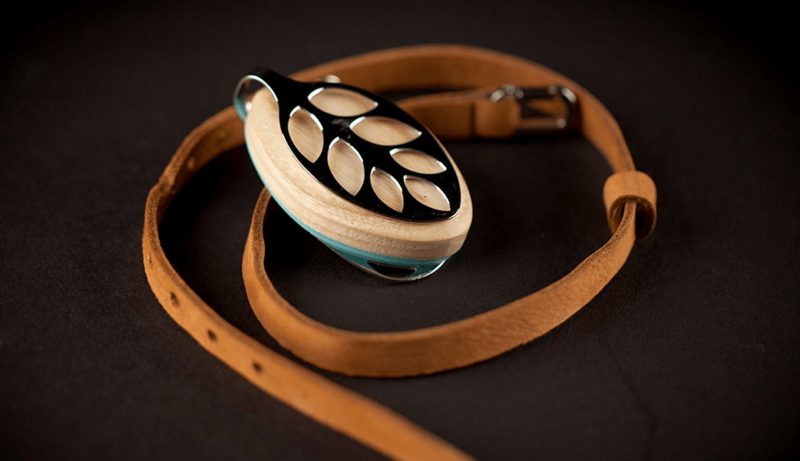 Bellabeat brings some fashion-sense to the fitness tracking world with the Leaf Nature health tracker that keeps the motive of fitness and the quotient of style in the same basket. Available in Silver and Rose Gold combinations, this fashionista fitness tracker comes with the ability to act as a pedometer, calorie burning counter, and has an extensive set of tools to measure your sleep patterns. Apart from helping you wake up and meditate during stressful situations, Bellabeat Leaf Nature health tracker also keeps a watch on the menstrual cycle. The use of wearable technology is growing by the minute, and the billion-dollar music industry is also catching up with devices like the Soundbrenner Pulse. 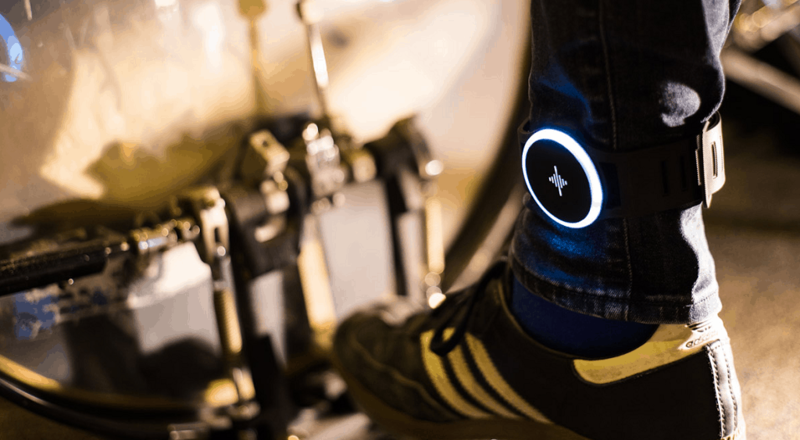 In its essence, this wearable is a metronome that is built for the musicians of the modern age and comes with its very own Metronome by Soundbrenner app. The device allows you to create your very own customizable rhythms and set them based on vibrations and LED colors. With simple and intuitive controls for setting the right temp by triple-tapping the face of the band or twisting the dial, you can use Soundbrenner with multiple musical instruments and fine-tune the metronome to your personal liking. 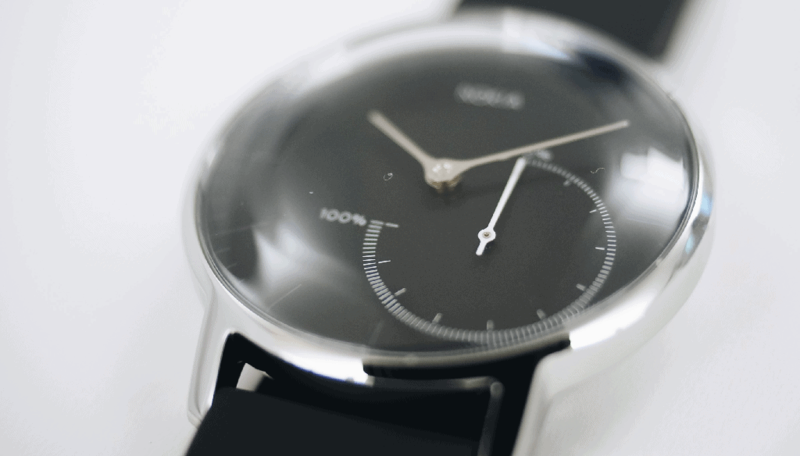 Originally owned by the French tech brand Withings and now by HMD Global, Nokia Steel is a smartwatch that corrects the biggest problem with modern smartwatches. While your average waterproof smart watch may have a digital display and an abundance of apps to go with it, Nokia Steel beats the competition with accurate health monitoring metrics and a mammoth battery life. The smartwatch is designed to last up to 8 months on a single replaceable battery, so you can forget about juicing it up all the time. With automatic tracking capabilities for running, swimming, and almost a dozen other accurately measured activities, Nokia Steel also doubles up as your sleep monitor with sleep cycle analysis and smart wake up alarm with vibration to keep you up and about on time. 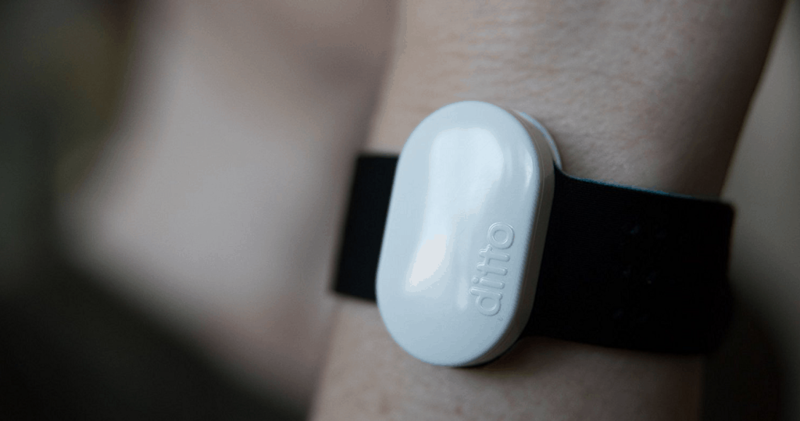 With a wearable tech market that is completely focused on expensive fitness trackers, an affordable wearable notification device like Ditto is sure to stand out. Keeping things simple not just for those of us who are always missing calls and notifications, but also for those who are hard of hearing or suffer from disabilities, Ditto is a simple vibrating notification device and never worry about missing an important notification ever again. The device itself is tiny enough to discreetly hide in your pocket, can be clipped to your bra strap, or even wear in on your wrist. You won’t need to shell out hundreds of dollars on a waterproof smart watch since Ditto is completely waterproof and comes with a legendary battery life of 3-6 months. Not only is the device notification customizable with its mobile app, but it also notifies you if you get too far away from your phone so you may never lose it. 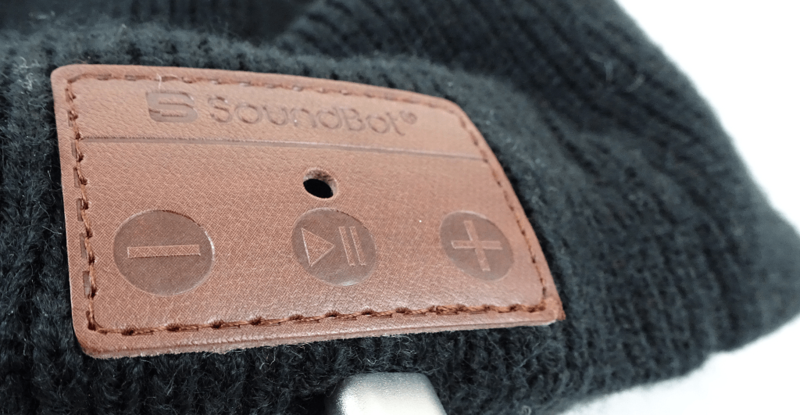 Wearable technology should be smart and not necessarily expensive, which is why we love the affordable and useful Wireless Smart Beanie from Soundbot. The water resistant sound system is built right into a stretchable and breathable material that is perfect for the outdoors. Built for devices with Bluetooth 4.0 and higher, the Soundbot wireless smart beanie comes with a rechargeable battery, built-in microphone for seamless communication and intuitive controls for controlling the music playback and answering phone calls. With a playback time of up to 6 hours, you get all of this at a decent price and one-year warranty. So your cool new waterproof smart watch can track your fitness and play music, but can it help you unwind and relax as well? 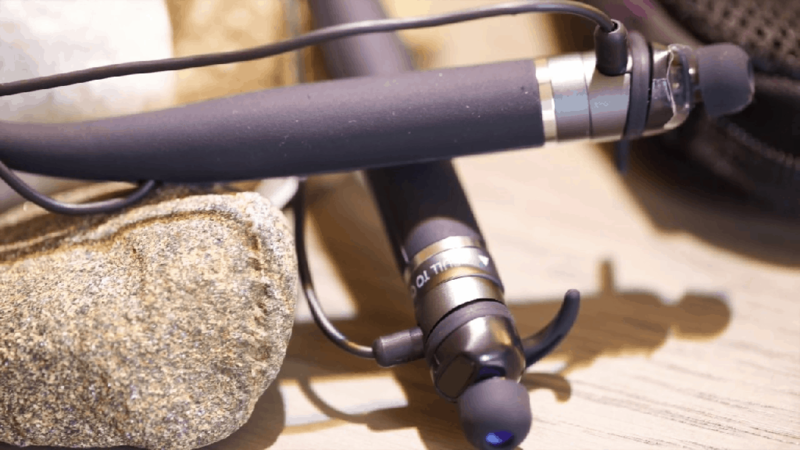 Ideal for those who live too fast to even breathe in comfort, the Spire Stone is a wearable designed to help you take down the stress levels with their patented respiration sensor and metrics. All you need to do is buckle up the minuscule device to your clothing and pair it with the mobile app and leave the rest to Spire Stone. By measuring your breathing patterns all day, the device communicates with you through the app, alerting you to take certain actionable steps if your breathing suddenly becomes rapid or erratic. Earphones have been a part of the regular fitness regime for many, but only until now did the smart tech has caught up with them. One such marvel is the LifeBEAM Vi sport headphones that break the wheel of mediocrity with all the fitness tracking technology built right into headphones itself. With no compromise on sound quality, this premium Hardman Kardon BT Sport headphones come with true AI Audio Coach that not only presents your stats but gives you useful suggestions on how to improve them. The biosensors built into the LifeBEAM Vi measure your heart rate, elevation, motion, and even proximity, presenting all the reports with the Vi Fitness app. 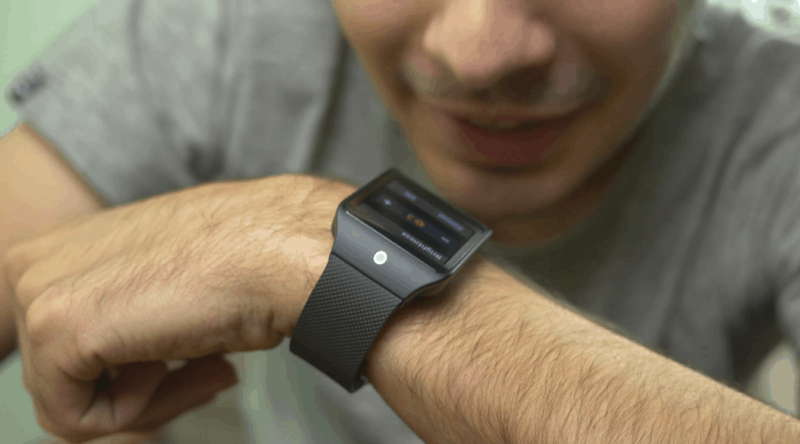 Which wearable devices do you own that you couldn’t possibly imagine a life without? Are there any other notable wearable tech accessories that we might’ve missed out on? Be sure to let us know down below in the comments section.